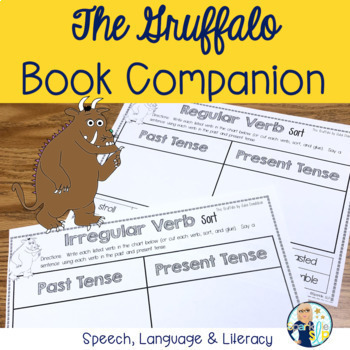 The Gruffalo Quick Prep Speech and Language Book Companion. 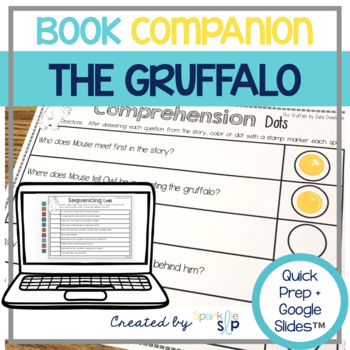 The Gruffalo, by Julia Donaldson, is about a mouse who takes a stroll through the woods. He meets a fox, an owl, and a snake who all want to eat him! So the mouse invents a gruffalo. There's no such thing as a gruffalo . . . is there? 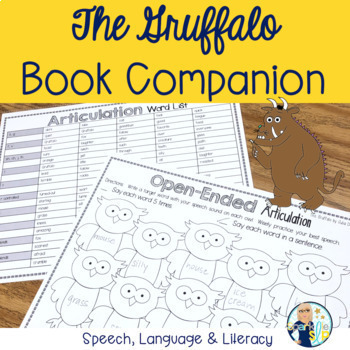 The book, The Gruffalo, is not included in this download. 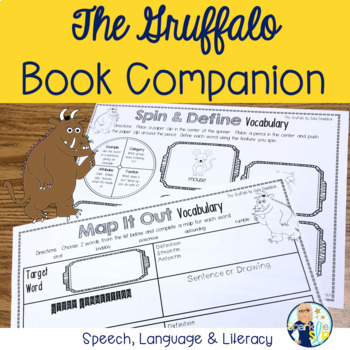 Sparklle SLP is not affiliated with this book, author or publishing company. The book is required for use.